I remember worrying about them on the night my daughters went to Heaven. I remember asking God to hold them and comfort them. I remember my heart aching for their loss ~ my loss. I remember wondering if these children would ever be the same after something so tragic invaded their lives. I cried for them because they would wake up and not have my girls to call, to tell secrets to, to talk about life with, to laugh with and to celebrate with all the milestones they had yet to encounter. They were all so little and life was so hard. When we were in the hospital waiting for Abigail’s organs to be matched a group of her friends came to visit and say goodbye. As we were gathered around her bed I pulled back the covers to show them her mismatched brightly painted toenails ~ I wanted them to know that she was still there beyond the machines that were helping her breath. Through our heartache we all smiled, laughed and told stories about how she loved to sit and paint each nail like a work of art ~ something we now call Abby Style. I remember how my heart felt as I saw each of them trying to make sense of what was happening. I remember wanting to take their pain away. I remember wanting for the nightmare to end and for us all to wake up. I remember holding her toes and being so grateful for her artistic ability. I am so grateful for the friendships Anna and Abby have ~ as a mom that is one thing I wanted for my children, to have solid friendships and to know what it felt like to love and be loved by friends. My girls have both and those friendships have truly transcended through the toughest of circumstances. This weekend two of Abigail’s dearest friends, Savannah and Grace, came over to help me with her quilt square for the Donate Life Threads for Life Quilt. These girls have become involved with Donate Life in honor of their friend and have been helping to share her donation story with their classmates, inspiring them to become a registered donor. These two girls mean more to me than I think they could ever know. They have made a connection with Tom and I on a level that helps us stay connected with where Abigail would be at this moment in time. This connection is not due to pity or obligation, but rather is one based purely on the love they feel for their friend. When they hug Tom and I we not only feel their arms wrapped tightly around us but we also feel Abigail’s arms. I have a feeling that they would say the same thing about hugging us…they feel Abigail too. After doing some sewing they went to their friend’s room, sat on her bed like teenagers do, and reminisced about the good old days when life wasn’t so hard. The door was shut so I couldn’t hear what was said and that is exactly the way Abigail would have wanted it. I remember thinking as I was saying good-bye to her that someone was getting that call they’ve been waiting for. That families were happy because their family member was getting a new lease on life. I remember those thoughts comforting me while I was kissing her forehead for the last time. She was such a giver and she now has given the ultimate gift. We are so proud of her and we are so looking forward to meeting the individuals that she blessed with her organs. 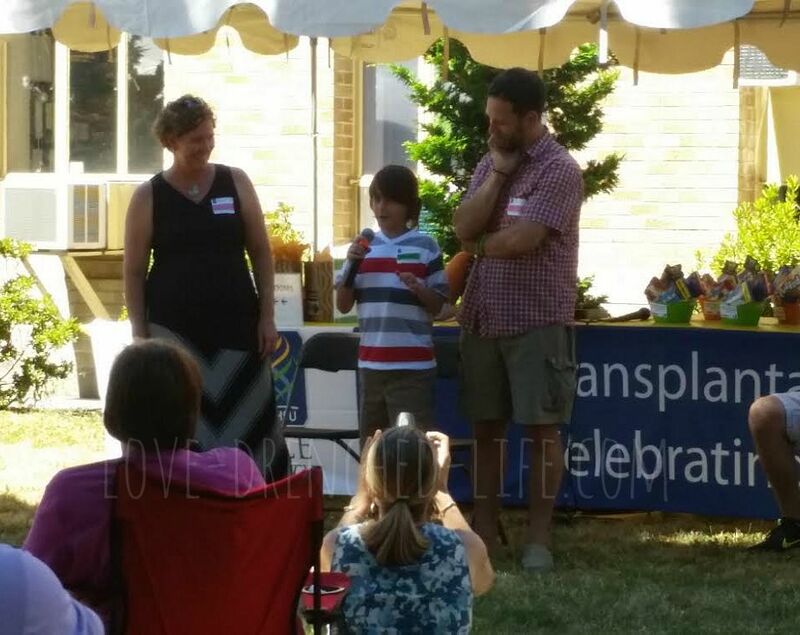 On June 27th, 2015 we met the little boy who received Abigail’s liver. He and his family decided to surprise us at the Love Rocks Run after I sent them some info and a box of their own Love Rock kits to make. We had written letters back and forth a few times over the last year and were now at the stage where we were given each other’s addresses. It took me a while to send the kits but I felt that a couple weeks before the run would be perfect, maybe they would be able to come. I had no expectations, and to be honest, the morning of the run was so busy and emotional I didn’t even remember. 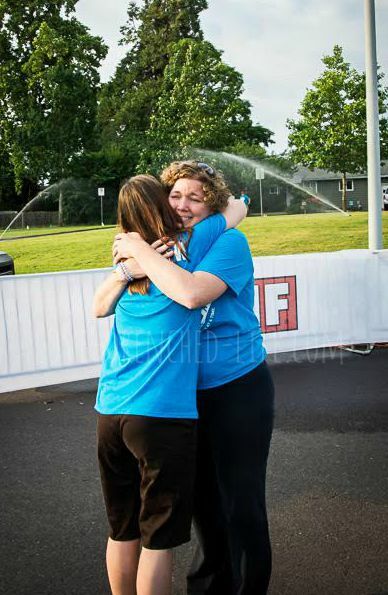 Well, that was until I saw Christian’s mom standing by the finish line with a volunteer shirt on. Our eyes met and I knew right away who she was ~ I couldn’t believe it. I ran over and gave her a hug. I had no time to figure out what to say or how to react, we just did what came natural for two moms that will forever be connected. Christian and the rest of the family were there as well, to surprise us on this very special day. 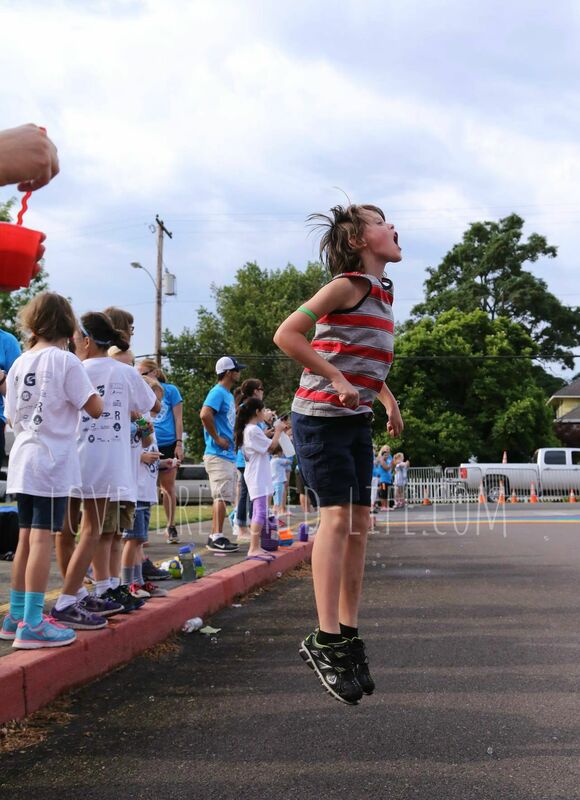 Christian crossing the finish line at the Love Rocks Run ~ healthy and happy! Photo taken by Danielle Skinner. Meeting this little boy and his family means so much to us. We knew the evening of Oct. 21st, when they told us that Abigail was going to Heaven with Anna, that making the decision to choose to give life would bring us joy in the future. In making that decision, which we know Abigail would have made the same decision, we have been able to see so many lives renewed, we have met so many incredible people and we are given so many opportunities to share Anna and Abby’s love story. We are so proud of both of our girls for how much they have given to so many. 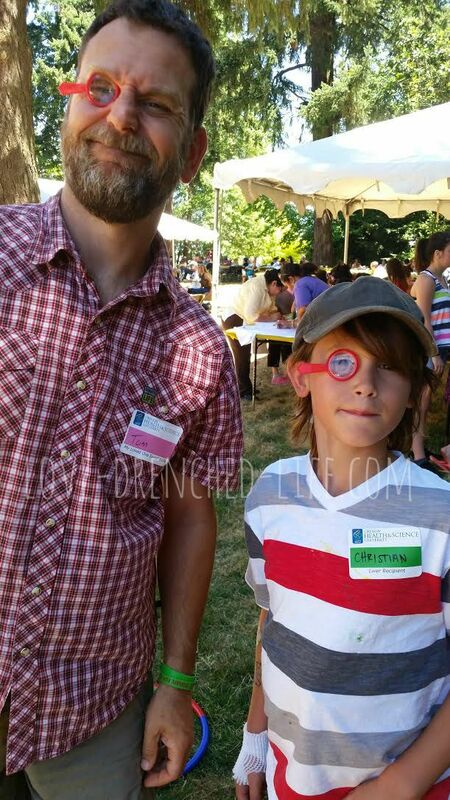 A couple of weeks after the run Tom and I spoke at the OHSU Transplant Picnic. Christian, his mom and little sister all came which allowed us more time with our new extended family. I honestly feel like we’ve known them forever ~ it’s rather strange actually how connected I feel. Tom and I have shared our daughter’s love story a lot over the past 21 months but this time it was a bit different. We invited Christian to come up with us and share a bit about himself and how his life is now after receiving Abigail’s gift. Just like Abigail, he was very comfortable in front of a crowd with a microphone in his hand ~ we were very proud of him. 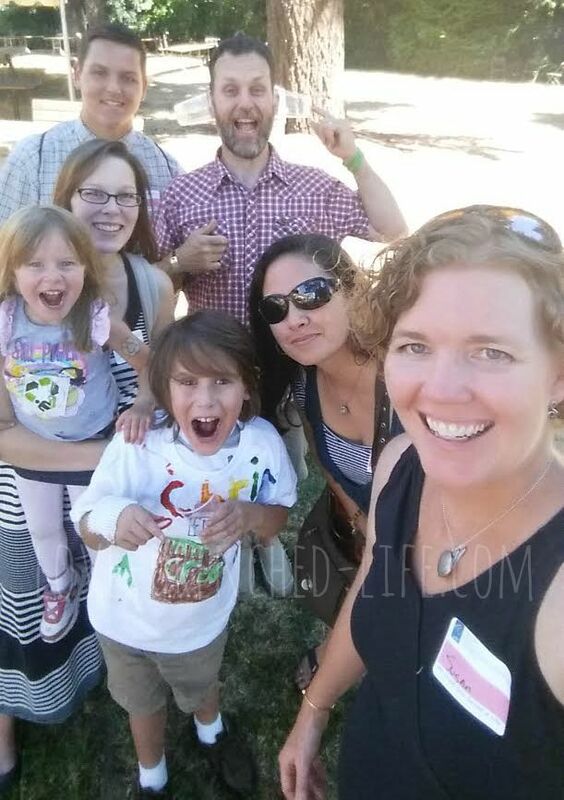 We were also able to introduce Christian to some of the people who work for the Pacific Northwest Transplant Bank (PTNB) and who helped to connect Abigail to her perfect organ recipients. These individuals have become dear friends of ours, again a connection that will last a lifetime. While Abigail was in the hospital a lot of people prayed for a miracle ~ we prayed for a miracle. Tom and I believe wholeheartedly that Abigail went to Heaven with her sister on Oct. 20th and God, with all of His glory, granted all those prayers for a miracle to this little boy whose family was praying for a miracle for him. Abigail was Christian’s miracle and we are very proud of that fact. While going through the photos of the run I found this one of Christian jumping up and catching bubbles with his mouth. I couldn’t help but smile and think about the girls hiding out in Abigail’s room with my phone set to video and Abigail getting her sister to catch bubbles in her mouth <3. I haven’t been feeling well lately…actually waiting for a call from my doctor right now. I’m worn out and needing a bit of break from my life. 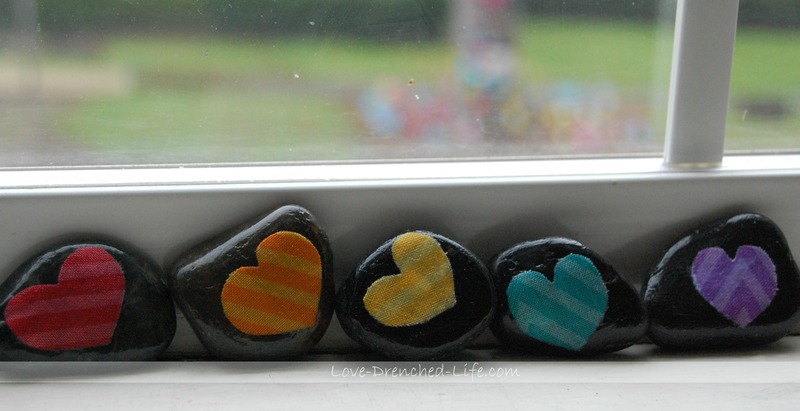 There is so much beauty and love pouring in from those who have joined us on our journey of sharing love and joy through Love Rocks ~ so much beauty. I feel blessed everyday of the gifts that those little rocks have given our hearts through our grief. I miss mothering my children so much. This past week I had to take a break from it all so I decided to work on Abigail’s quilt square for the Threads of Life Quilt. I miss sewing with the girls, so spending time in our studio brought me great joy. On my bulletin board behind my sewing machine hang lots and lots of love notes from my girls ~ all made in this creative space of ours. I’ve been thinking about this quilt square a lot, knowing exactly how I wanted it to turn out but not really sure on how to make it happen. Rainbows and hearts mean the world to us, we see them everywhere, and feel that they truly are a sign from God that our girls are taken care of. I love that when a rainbow appears in Forest Grove, our community looks up to the sky and thanks my girls. I don’t think anyone can fully understand how that love warms my broken heart. Hearts have always been special in house…you can see them everywhere. I still, and will forever, have heart-shaped handwritten love notes from both of my girls all over the place. Abigail decided one Mother’s Day that she would take an entire heart-shaped pad of sticky notes and write “I love you mom”on everyone of them and then place them all over the house. I am happy to say that most of them are still stuck to the walls. Anna’s favorite shape to draw was a heart. I remember her first attempts when she was a toddler and how we worked on getting the ends to meet at a point. I remember when she would sit at our table and draw heart after heart naming who they were for ~ Mama, Dad, Nana, Papa, Isabella, Ella, Rowan…and the list went on and on. I was so happy that her heart always felt so loved and that she wanted to share that with everyone. 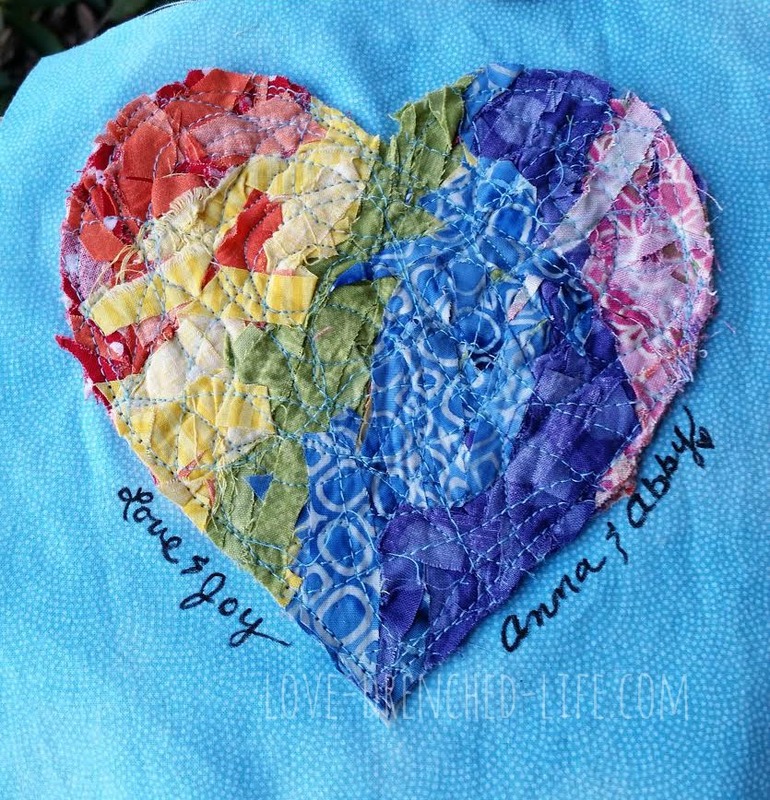 After I had gathered the material I wanted to use I sat in our studio, trying to figure out how to get the vision in my mind into this year’s quilt square; I realized that I needed to just be for a little while before I started. Being is hard for me because it is where I can get swallowed up in deep sorrow. Being is where the longing for my girls becomes unbearable. Being is where the images of the night my girls went to Heaven rest and if I’m not careful I can feel that intense trauma all over again. The quilt square was due and I didn’t want to just throw something together for the sake of getting it done. I had to sit and be for it to come to life. This is what came from being and in that being I felt only love. 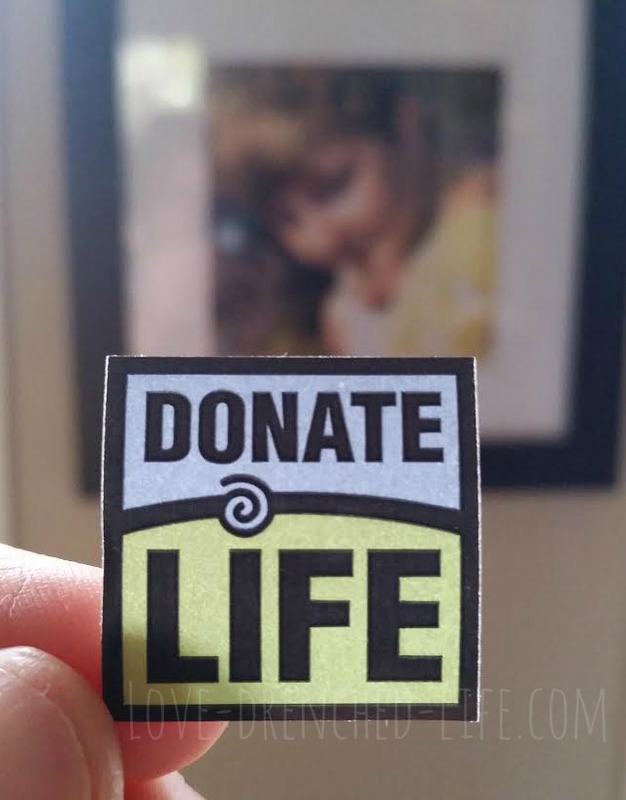 Last Wednesday I was given the opportunity, by the 8th grade health teacher at our local middle school, to share with the students about organ donation and to share with them Abigail’s donation story. I teamed up with my dear friend Aimee from Donate Life Northwest and we spent the entire day educating the students about why it’s important to register to be a donor. At the end of Aimee’s presentation I gave the specifics about the lives that Abigail saved, about our experience in the hospital while the transplant team was trying to find her matches and about why it’s important to talk about all of this with their loved ones. This question is one that most 16 year olds may not fully understand and may not want to think about. My hope, for the kids that are in our community, is that when they are asked that question they will all have a full understanding of what that means and will have hopefully shared their wishes with their loved ones (and vice versa). I hope when they check the box “yes” they think of Abigail. I am a proud mom and I know that Abigail’s donation didn’t just save lives but will also continue to be a means to educate people in many years to come. I feel blessed to be given the opportunity to talk to her peers and share her beautiful story. This past week a high school classmate of mine was put on the lung transplant list. He is in Ohio, in the hospital, and is now waiting, in critical condition, for his perfect match. I don’t know how it feels to be on that side, waiting. What I do know is what it feels like to be faced with a decision in the most difficult of circumstances. I know what it feels like to be in shock from the horror of losing your loved ones and, through that horror, seeing a glimmer of light through what your loved one can give in their final hours. Tom and I have absolutely no regrets from making the choice to donate Abigail’s organs….we only find joy in that decision. If you are not a registered donor and would like to become one go to Donate Life America. If you are a registered donor then talk with those around you about your wishes. I am praying for that family, that in their darkest hour, will make a decision that could potentially save Mark’s life. I am praying for Mark’s family. I am praying for Mark. I am praying for peace that only God can give that surpasses all understanding. We have a lot of photos on our refrigerator. The one that stands out most is the one of the little boy who received Abigail’s liver. Everyday it reminds me of how precious this life is, how proud I am of my girls and our beautiful love story. Please register to be a donor and talk to those around you about your wishes! If you would like more information about organ and tissue donation you can find it here or you can send me a message and I can answer any questions you may have or direct you on how to find them. I’m sure Miss Anna was a little impatient with her sister as she waited for her to get done in the hospital. I like to think that as the doctors, nurses and the transplant team found matches and prepared Abigail for her surgery, Anna waited for her sister patiently, or not so patiently, so they could go to Heaven together. This thought of them hand in hand brings me comfort. A year ago yesterday calls were being made to say they had a perfect match. My daughter was a perfect match. 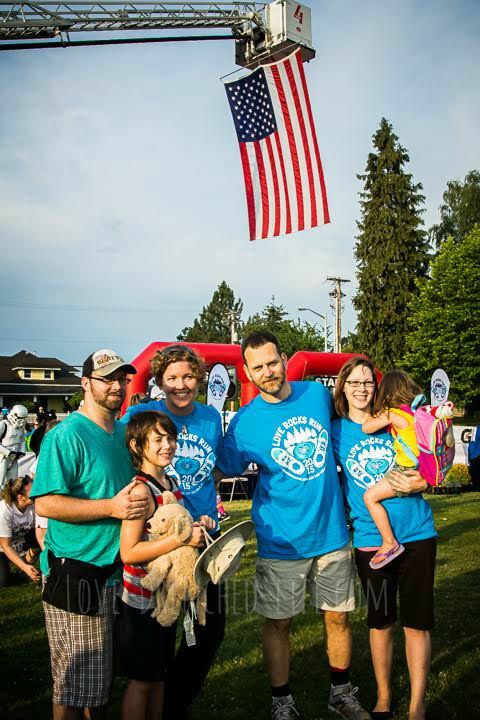 I remember the team from Pacific Northwest Transplant Bank (PNTB), along with the staff from Randall Children’s Hospital, giving us updates on the status of her recipients. They included us in the process of her care and made us part of their team. They asked about Anna and Abigail and listened as we shared stories. They created a caring and loving environment for us to grieve. They connected, loved and took such good care of Abigail. They took such great care of us and still do. 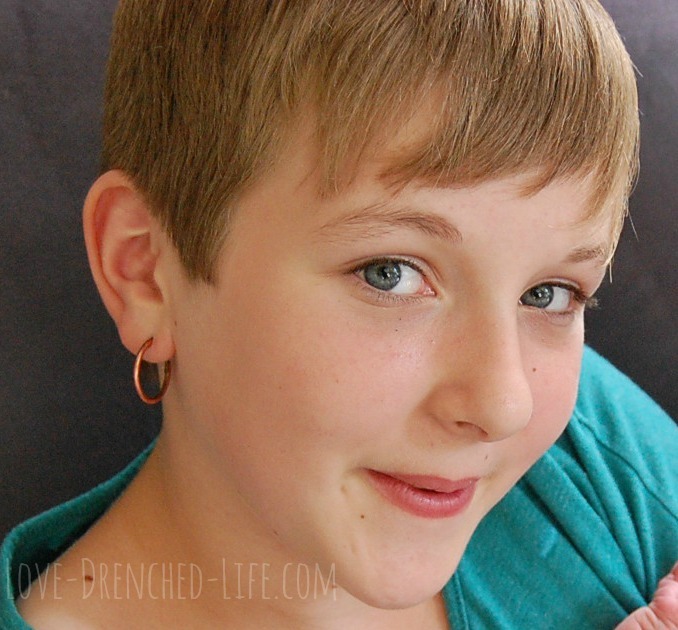 Abigail was able to give the gift of life and sight through her organ donation. We feel that both girls were on their way to Heaven, hand in hand, on October 20th, but by the Grace of God, Abigail had to make one stop before she went. On this day last year, total strangers were being wheeled into the operating room to be given a miracle from my daughter. I know that this gift is not taken lightly and is an answer to their prayers. I have met many recipients of similar gifts and I know that the joy in the miracle is felt concurrently with compassion and sorrow for the donor family. Abigail’s right kidney was transplanted successfully to a man in his 50’s who had been on dialysis for 2 yrs. He is doing well. We received a letter from him and his family last December. Her left kidney recipient was a U.S. military veteran who was also on dialysis for the past two years. We recently got a letter from him telling us that his health is good and that he cherishes the gift Abigail gave him. We hope to meet him soon. Abigail’s liver was transplanted into an 8-year-old boy. It has been told to us that he was able to return back to school after his transplant and is having a good time being a lively kid again. 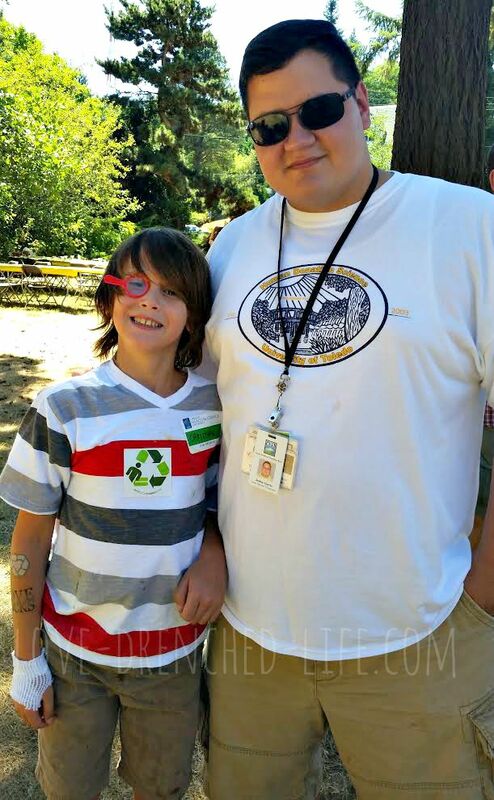 Abigail was able to donate one cornea which gave sight to a 9 yr old in the Pacific Northwest. That child is able to see because of her gift. Her pulmonary valve and conduit were distributed to a pediatric hospital in California and her aorta has produced 13 million vascular cells which have the potential to generate over 50 vascular grafts. These grafts will assist recipients with limb salvage and circulation issues. We will pray to the end of our days for each of Abigail’s recipients. There is a lot of guilt that is felt by those who receive organs and tissue, especially when it’s given by a child. Abigail was on her way to Heaven, her donation was a choice we made for her knowing full well she would have made the same choice. We have met so many amazing people who have been touched by organ and tissue donation. We feel very blessed that Abigail was able to leave this legacy. If you are not already an organ donor or have any questions about organ donation please contact Donate Life America. UPDATE (OCT 2018) ~ Abigail’s pulmonary valve has been placed into a young girl in California and we have been blessed to meet her liver recipient. 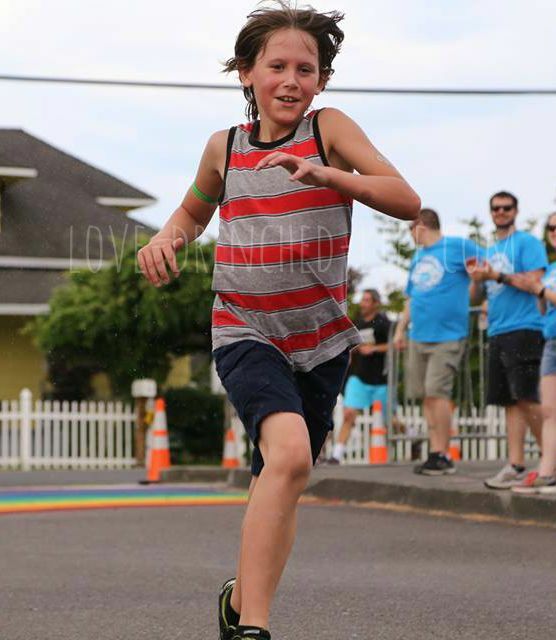 He is a teenager now and comes every year to the Love Rocks Run with his family.